MashaAllah jezakillah Ustaz may Allah protect you and your family. We do love you. Allah bless and preserve you, your family and team. why there are so many women? or men have gone behind the curtail? Powerful speech. I'm speechless. Alhamdulillah. May Allah grant u and ur family jannah. Amin. I dont know english as much but i understand your biyanh!!!! such a best lecture.. Alhamdulillah.. I heard / listened to this late night - it gave me a burst of adrenaline - like a huge shot of adrenaline and pure happiness. SubhanAllah! I was always feeling poor and I did not know the reasons! My mom, said me one thing, just offer thanks to all the blessing you receieved for just 5 days. I did that and I started feeling good and positive! really inspiring.may allah bless NAK and give him good health with many more years. BEST SCHOLAR OF ALL TIME. Ya Allah! 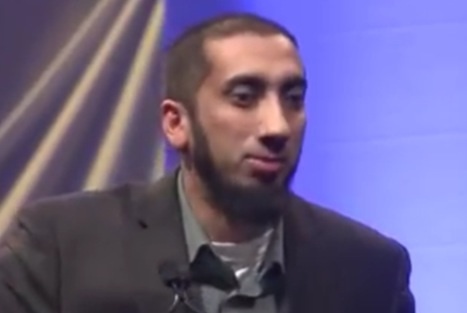 Please make me meet up with Ustad Nouman Ali Khan! An infinity gratitude for this video. Thank you. Habibi Mostafa, you honestly can. The Muslim ummah is like one body, write down a clear mission with a sincere intention, put your trust in Allaah and khalas go on the journey. You never know what you will achieve with the help of Allaah. May Allaah help you in your journey. Alhamdulillah .. Syukur Allah for leading me to watch this video when my soul really need it ..
Masha-Allah - totally changed the way I think about life and the blessings our Creator has bestowed on us. Alhamdulillah...everyday is a gift from Allah. Alhamdulillah tht i've listened to this talk. Alhamdulillah that s/one has uploaded this video here among the filthy ones. Alhamdulilah; I saw this lecture live at RIS! It was absolutely amazing! Everyone was so attentive and the atmosphere of the environment was so peaceful. Always amassing to listen to Ustad, may Allah increase him. Assalamu alykum sis, at some point the brother says "here in Canada". The text on his pulpit gives us even more : "Toronto 2012" and RIS stands for "Reviving Islamic Spirit" - hope that helps you! where did this event occur...if so any link to have a view online.